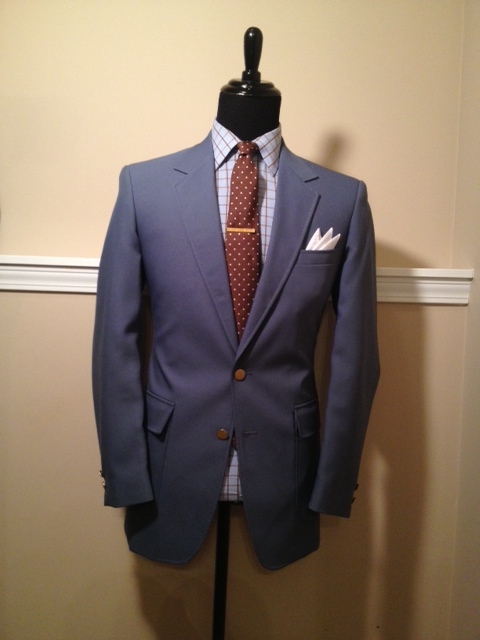 The first piece added is this vintage blue patterned sport coat with original ivory buttons, notch lapels, rear center vent, two button closure, patch pockets, and partial interior lining. 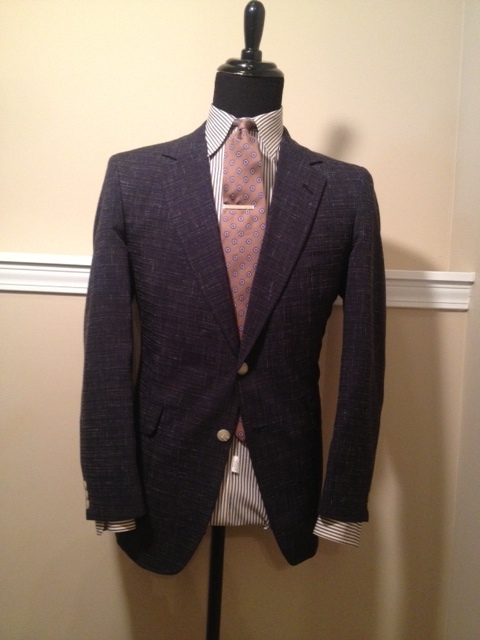 This vintage piece is light weight and the size is approximately a 40/41 (Sport coat was previously altered) This piece is affordably priced at $38.50. 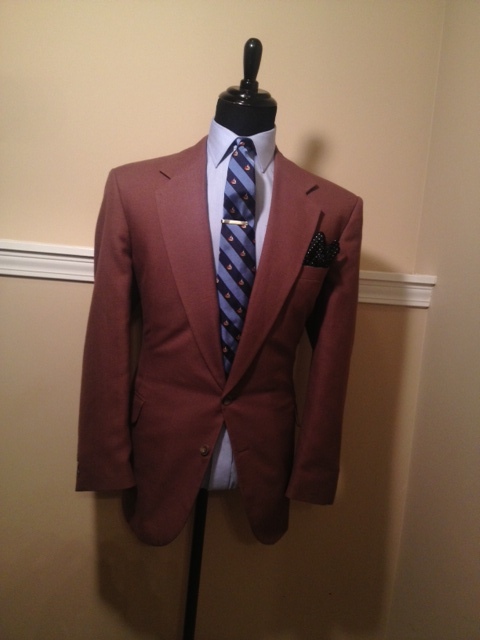 The next piece is a mauve colored sport coat that features notch lapels, rear center vent, flap pockets, two button closure, and full interior lining. Mauve colored pieces always exude a vintage classic feel, no matter the cut. It’s just a classic color. 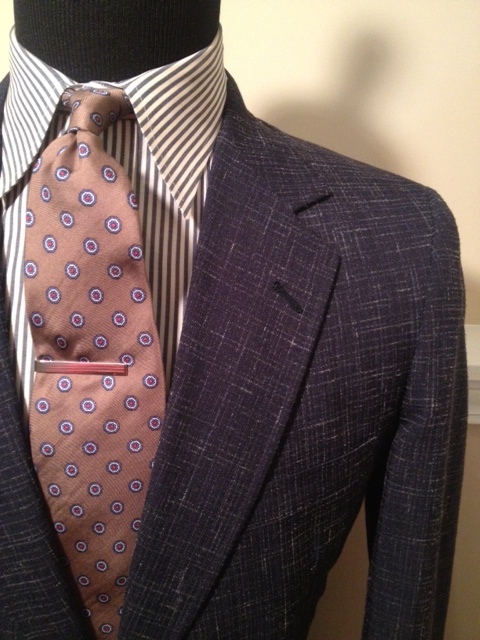 This sport coat is a size 46 Regular and is priced at $38.50. 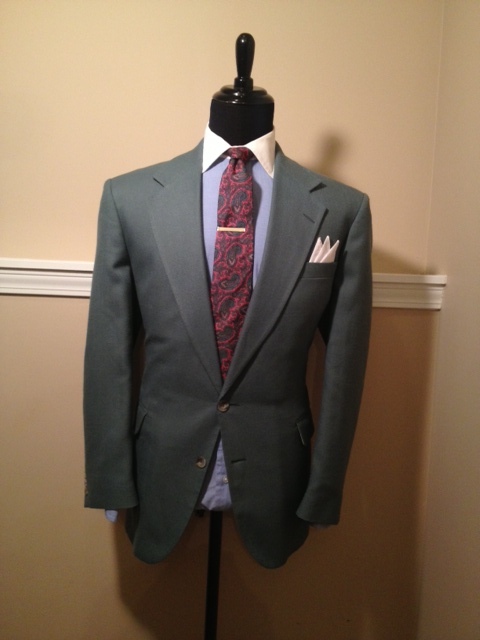 The next piece is this teal green sport coat that features notch lapels, rear center vent, flap pockets, two button closure, and full interior lining. Teal is a softer and more conservative approach to the color green…perfect for the stylishly sleek look that you may be going for. This piece is in immaculate shape and it is a size 44 Regular. Priced at $38.50. 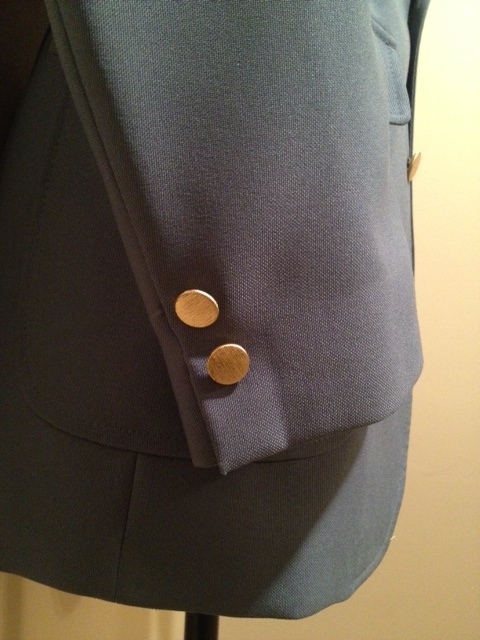 The last piece added is a slate blue blazer with original gold buttons, notch lapels, rear center vent, patch pockets, two button closure, and full interior lining. The original gold buttons is the icing on the cake! 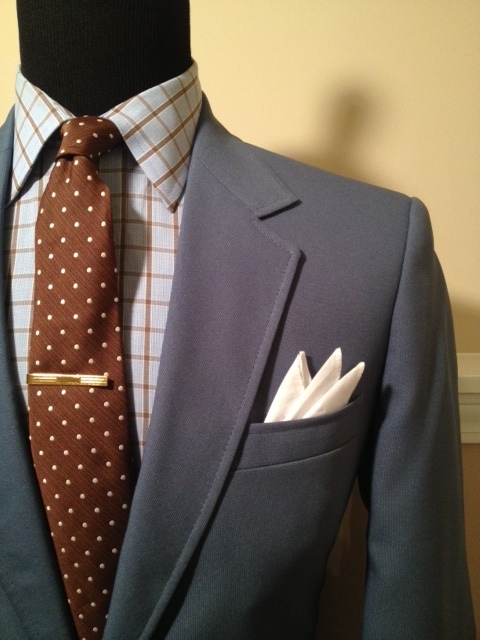 With gold cufflinks and a gold tie bar/tie clip, this blazer can help you pull off something extraordinarily elegant. 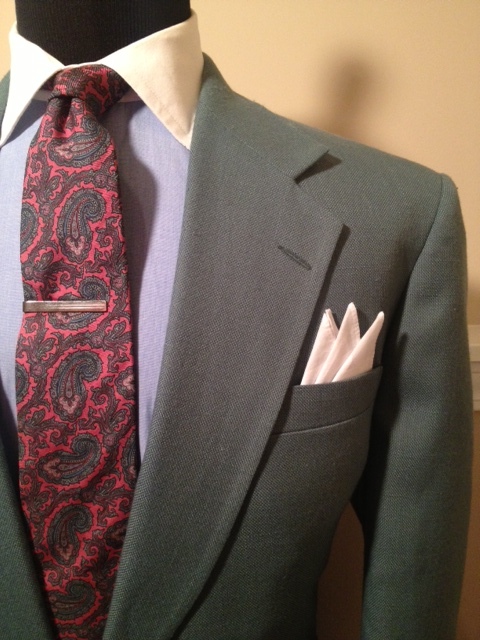 This blazer is a size 40 Long and affordably priced at $38.50. To purchase any of these pieces or similar pieces, please visit the online Menswear Boutique by clicking on the [Menswear Boutique] in the menu header. 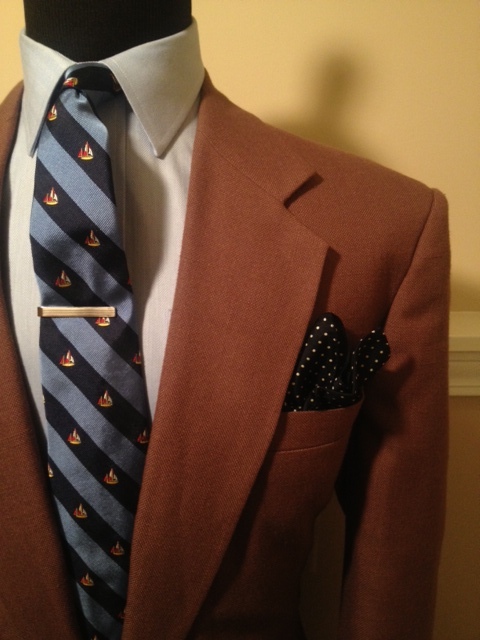 This entry was posted in Uncategorized and tagged Charlotte Style, Light blue blazer with gold buttons, Mauve Blazer, slate blazer gold buttons, spring blazers, spring sport coats, summer blazers, summer sport coats, Teal Blazer, vintage mens blazers sport coats, Vintage menswear, Vintage menswear for sale, Wilbur Dow by wilburdow. Bookmark the permalink.